The National Executive Committee of the All Progressives Congress, APC, has refused to uphold the results of the Ward, Local Government and State Congresses held in Rivers State put on May 19, 20 and 21. The APC NEC, while it upheld results of Congresses conducted in Cross River State, despite the violence and loss of lives, cancelled the results from Bayelsa State. Those were part of the decisions reached on Friday when the NEC met in Abuja. 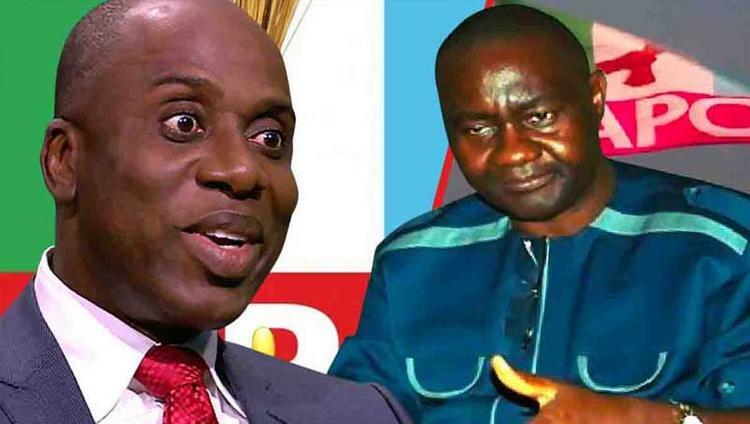 According to a top APC source who attended the NEC meeting on Friday in Abuja who spoke with The Neighbourhood, the NEC’s decision to put the Rivers result in abeyance was due to the court case instituted by Senator Magnus Abe against the conduct. “The NEC did not reject the Rivers State result, nor did it accept it. Rather, NEC decided to put it on hold since it is already a matter in court”, the top source told The Neighbourhood. With this decision, Rivers State APC delegates may not take part in the National Convention except the Court of Appeal makes an earlier pronouncement on the matter.